Close range sounds, wind, and fast movements of the microphone boom, all may cause interfering noises. To avoid these unwanted sounds, use the WS89 windscreen. 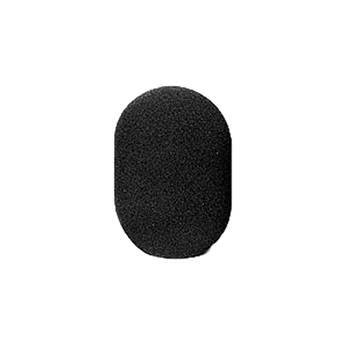 The WS 89 windscreen is designed to be used with the U 89 i and TLM 193 microphones. The diameter of this windscreen is approximately 90 mm. Suppression of the wind noise is approximately 27 dB. Attenuation at 15 kHz approximately 3 dB! Box Dimensions (LxWxH) 7.1 x 3.8 x 3.7"